An absolutely monumental shift is in process that most have not recognized yet. 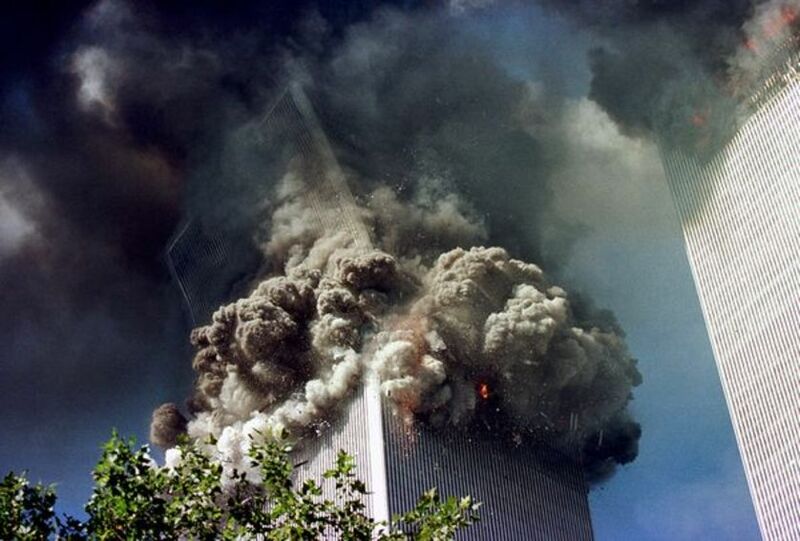 The truth, or at least some truth, is about to be shown to the American masses about 9/11. I say American masses because everywhere I’ve gone in the world outside of the US, with few exceptions, almost everyone knows that the US government conspiracy theory on 9/11 is for people with tin-foil hats that are either completely zombified or are under mass hypnosis. Most of the rest of the world looks on the US like the Truman Show and can’t believe how many people in the show don’t realize it’s not real. The first event is a 40 minute broadcast that went out on C-SPAN on August 1st with Richard Gage, founder of Architects & Engineers for 9/11 truth. This is an absolute must-see interview for the reasons I will explain. For 40 minutes the truth about 9/11 was represented as not being crazy… instead it was the exact opposite. It was positioned as highly credible and six of the seven callers thanked both C-SPAN and Richard Gage for finally bringing countless issues with 9/11 forward to the large segment of the US populace which still thinks something isn’t real unless it is on their television programming. This is the first time 9/11 has been presented in this way on a US based network with a significant reach. The only other time the truth about 9/11 has been presented on TV in the US in this light was by RT (formerly known as Russia Today), which is a Russian government propaganda channel (which mostly distributes the truth about the US but in a pro-Russian light) that is beamed into 644 million homes worldwide and about 85 million homes in the US when they broadcast the truth about 9/11 on September 8, 2013. Getting back to the C-SPAN broadcast, on its own it might not be incredibly significant but when put into context of other events there is clearly something going on… and we will discuss what may be going on below. At the same time as this very blunt, pro-truth 9/11 broadcast aired in the US, on the very same day in fact, news broke that a “Former Senator Says Huge Breakthrough Is Coming With Classified 9/11 Information“. Remember, as well, that Vladimir Putin threatened in May of this year that he had evidence that 9/11 was an “inside job” and was going to release it after NATO and the US government staged a coup and false flag attack in the Ukraine. This struggle continues on to this day with what appears to be another false flag attack by NATO and the US government in concert with their puppet regime in the Ukraine to down a Malaysian airliner and blame it on Russia (as evidenced here “Evidence Is Now Conclusive: Two Ukrainian Government Fighter-Jets Shot Down Malaysian Airlines MH17″). Of course with this many things going on, so many covert operations, so much propaganda and misinformation and so many actors involved it is hard to say. But something definitely is going on. I have stated since the advent of the internet circa 1993 that this would result in the end of all major wars on Earth. It took twenty years to begin to come into fruition – but of course most people really did not start utilizing the full modern capabilities of the internet until the mid 2000s – but it is finally beginning. It is clear that never before in recorded history have humans been able to so quickly transfer information and it is reaching a point where it is going exponential. Quickly after most false flag attacks, within hours, private investigative journalists from around the world are dissecting the info and exposing the lies. This could be seen with the false flag attack in Syria whereTurkey, a member of NATO, staged the gas attacks in Damascus in August, 2013 killing more than 1,300. The US quickly tried to pin the gas attacks on the Syrian government but within days the global populace was aware that this was likely not what they said it was and with a derth of public opinion to retaliate the US government could not attack Syria as per its plans laid out by General Wesley Clark shortly after 9/11. And so, the most optimistic theory about what is going on right now with a soon-to-be-revealed information on 9/11 is that humanity has awoken and the rise of this consciousness amongst a large part of the human populace is finally driving the truth out and shining the light on The Powers That Be (TPTB) and the momentum is too big for even TPTB to hold back now. This time? Who knows. All of a sudden Ebola is the scare of the day (as we discussed yesterday)… perhaps Agenda 21’s population reduction is about to swing into full effect. According to what some believe, the infamous NASA Blue Beam Project has four different steps in order to implement the new age religion with the Antichrist at its head. We’ll save you the gory details but it results in a gigantic ‘space show’ with three-dimensional optical holograms and sounds, laser projection of multiple holographic images to different parts of the world, each receiving a different image according to predominating regional national religious faith. This new ‘god’s’ voice will be speaking in all languages and the supposed purpose is to scare the world into a new world order. Russia gifted the US this 9/11 Memorial in 2005. Given everything that is going on between Russia and the US today this could be a massive power struggle between the two governments in which Putin is threatening to expose certain aspects about 9/11 and the US is attempting to front-run them with a more suitable version of events. In this theory, which is the most likely given evidence to date, it is a massive chess match. The US and NATO begins to surround Russia with military bases. Check. Putin threatens to release information that 9/11 is an inside job shaking the very foundation of many American’s beliefs in their own government. Check. NATO and the US try to take over the Ukraine in a coup. Check. Putin fights back. Check. NATO and the US down a Malaysian Airliner and try to blame it on Putin. Check. Putin doesn’t back down and world opinion sides with him and the US begins to release a version of 9/11 to discredit Putin’s information. Check. If this is the case then our theory on what Congress is about to release about 9/11 will show a mostly fake Saudi Arabia connection, with a few fall guys in the Bush administration, orchestrated as a semi-“inside job” that will so infuriate and obsess the US populace that any evidence Putin releases will be lost in the noise as the US begins to go on war footing against Saudi Arabia, creating another war and further distracting the public and furthering the tentacles of the US empire in the Middle East. Check. What is the check mate of this game? We’ll have to wait and see. With this many pieces on the board anything can happen. Something big is about to happen. Perhaps not in days… maybe not weeks but almost certainly in months. Whether it is the most optimistic scenario, the most pessimistic, the most logical, something in between or something completely unexpected is unclear. No matter what happens there is going to be a definite period of chaos and uncomfortableness… to put it lightly. Even in the most optimistic scenario there will be chaos, especially in the US, as the US empire collapses, the dollar collapses and the world begins to pick up the pieces while tens of millions of brainwashed slaves, full of mind-altering pharmaceuticals and completely dependent on the government for survival roam the streets like zombies. In the most pessimistic, well, let’s not even go there. And, in the most logical scenario we are looking at continued global turmoil and more war which will further bankrupt the US government and destroy the US dollar. Shorting the dollar by going long precious metals and bitcoin would be the play.